Heels cracks and bleed occur when the loss its moisture weather is the main component during the winter, however, coll breeze cause insufficient moisture the feet and heels become too dry, If you cannot care or moisture your feet then they can lead infection. Cracked heels are a common problem of ageing skin loses its ability to healing so cracks are very common. If you can work too much time by standing that increase pressures in the heel area, causing it to crack. Obesity is a rare condition increases the possibility of cracks on your heels. 1.3/4 cup of coconut butter. 3. Two tablespoons white wax. 4. 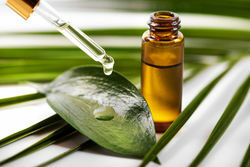 Twenty drops of Tea tree essential oil. 1. 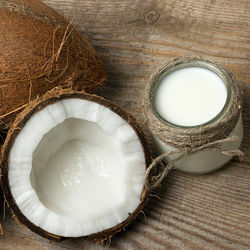 Pour coconut butter into the pan and put on low heat, until dissolved. 2. 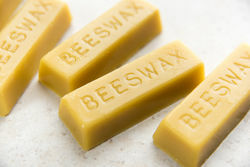 When melted Add beeswax and white wax melt slowly over low heat, this will create a thick past remove on heat and add tea tree oil mix well set aside to cool. 3. When the mixture cool this will convert in the cream form you store in a jar. 1. For best result take lukewarm water and mix one tablespoon salt and turmeric. 2. Soak your feet for in this mixture for 20 minutes. 3. 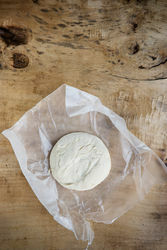 At the end use a pumice stone to gently slough away all dead skin let skin dry. 4. Apply a thick coat of homemade cream. 5. Regularly before going to bed, you see the result in one weak. This homemade heel cream gives a very good result my grandma use only one weak and sees the magical result. If you have cracked heels? You try it and get the result Share below! Bonjour! So, I heard some really exciting news in the crypto space . A few gents in the cryptocurrency area are publishing that a new cryptocurrency is being created and incredibly, it is being mutually developed by a consortium of major international and US law firms 😀 Purportedly, it is called LAWesome cryptocurrency coin. I would be most obliged if anybody could possibly share some new real-time information on this coin. I would particularly, love to purchase this coin during the course of the ICO and also take part in a bounty hunt to get some totally free coins. Unfortunately, there is a lack of intel on the LAWesome coin as I suspect that it is a being kept hush hush. I wonder what persuaded the law firms to burst in the cryptocurrency area? This step by the law firms will unquestionably inject a dose of trustworthiness and reliability into the cryptocurrency field.